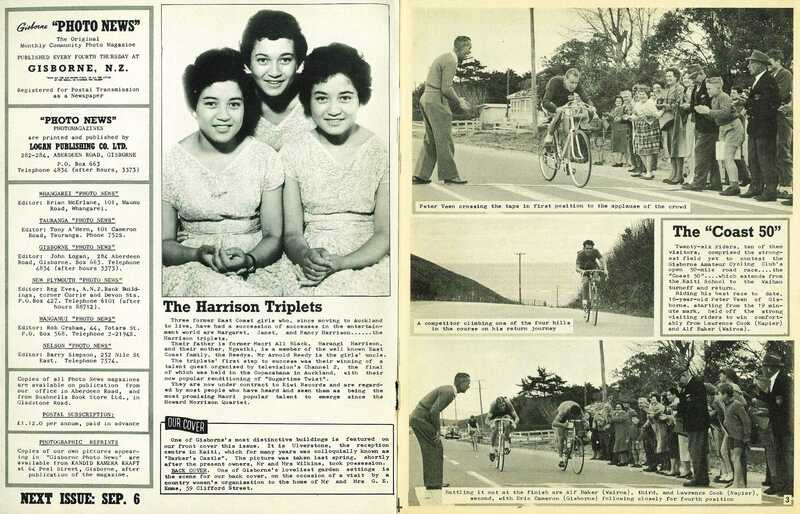 Three former East Coast girls who, since moving to Auckland to live, have had a succession of successes in the entertain' ment world are Margaret, Janet, and Nancy Harrison......the Harrison triplets. Their father is former Maori All Black, Harangi Harrison, and their mother, Ngawiki, is a member of the well known East Coast family, the Reedys. 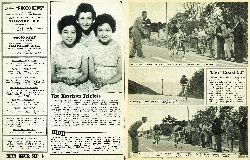 Mr Arnold Reedy is the girls' uncle. The triplets' first step to success was their winning of a talent quest organised by television's Channel 2, the final of which was held in the Copacabana in Auckland, with their now popular renditioning of "Sugartime Twist". 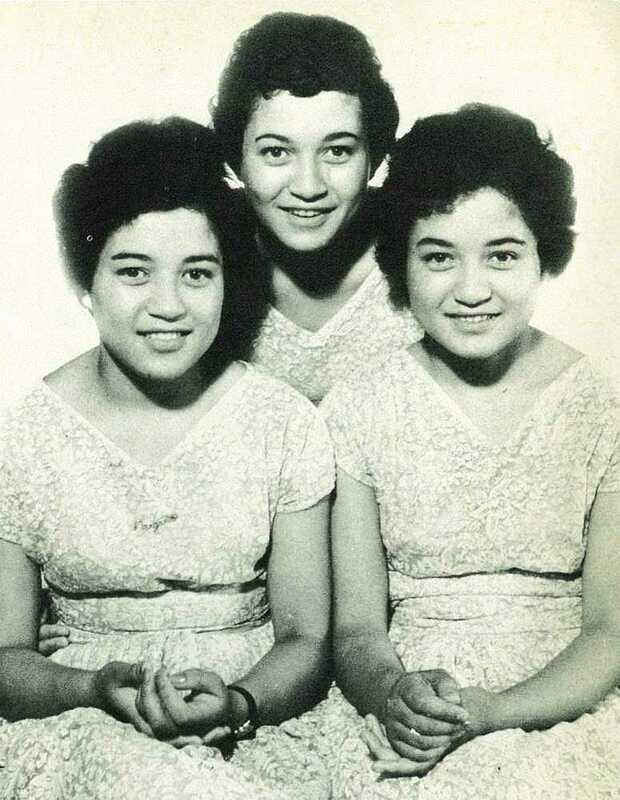 They are now under contract to Kiwi Records and are regarded by most people who have heard and seen them as being the most promising Maori popular talent to emerge since the Howard Morrison Quartet.